Beethoven's Coriolan overture was inspired, not as one might expect by Shakespeare's tragedy, but by the play Coriolan written in 1804 by the Viennese playwright Heinrich Joseph von Collin. Following Shakespeare, von Collin's tragedy concerns the Roman general Gaius Marcius Coriolanus who lived in the 5th century BC. Although revered for his bravery and brilliance as a general Coriolanus fell out with the political establishment in Rome, and was exiled as a consequence. In exile he raised a rebel army with the intention of overthrowing Rome and replacing the corrupt government. Beethoven's overture is essentially a symphonic movement based on two contrasting themes symbolising different aspects of Coriolanus' character. The first describes him as an ambitious warlike leader bent on victory after bloody conflict. The second is a gentler theme, which shifts its key frequently to suggest doubt and uncertainty in what he is doing. The overture is very violent in character. It moves on at an unrelenting tempo with some abrupt breaks and many dramatic contrasts of loud and soft. 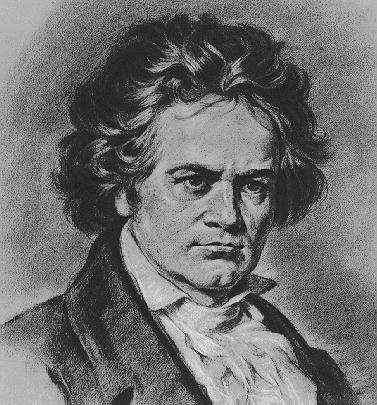 It has often been suggested that Beethoven, though ostensibly writing about a Roman revolutionary, was expressing his own horror about the reign of terror that had followed the French revolution just a few years earlier. Although there is no direct evidence for this it is tempting to think that the opening gesture - a long unison note for the whole orchestra followed by a short dramatic chord - may be a musical depiction of the guillotine. However one interprets it, the overture is a masterpiece of musical invention, and a highly original and ground breaking piece. The première took place in March 1807 at a private concert in the home of Prince Franz Joseph von Lobkowitz. The other works premièred at the concert were Beethoven's piano concerto No. 4, and his symphony No. 4. The overture has been used as a concert opening piece regularly ever since. Beethoven's Coriolan overture was performed by the Portobello Orchestra on the 8th July 2017, conducted by Sam Jones.